Adult School tuition is refundable only if not enough students are enrolled and the class is canceled before the first class session. There are no refunds for no-show’s. Saturday Youth School tuition is only refundable if one notifies in writing or by email the Dean of the Saturday School (or their representative) before the fifth week of instruction of the semester. If one has enrolled after the 3rd week of the semester, the option for full tuition refund is only applicable if one notifies in writing or by email the Dean of the Saturday School or their representative by the end of the second week of instruction from the date enrolled. The date of the notification of the Dean, the School Board President or Board appointed representative, determines the effective date of withdrawal for refund purposes. PTC dues fund the cultural events as well as some basic operations of the school and are not refundable after the 5th week of instruction. Since the Bazaar requirement is not fulfilled until August after the end of the academic year, the deposit cannot be refunded or carried forward for the next year until September. Upon completion of the required duties for the school year, families have the option to roll their deposit(s) to the next school year. 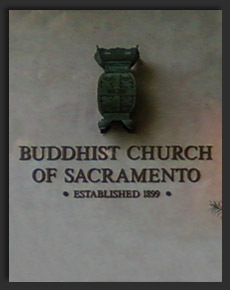 If your child is graduating or will otherwise withdraw from the school, you have the option of donating the deposit to the PTC or request a refund after completing your shift (s) at the Buddhist Church of Sacramento August Bazaar. 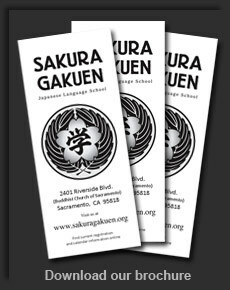 At the discretion of the Sakura Gakuen Board President and the PTC President, all or part of a PTC Participation Deposit may be used to cover outstanding unremitted charges due to Sakura Gakuen and/or the Sakura Gakuen PTC. Any requests for refunds must be submitted to the PTC in writing by September 15th of that year. All refunds will be mailed out in October. The preceding year’s deposit account will be closed by the first of November and all funds remaining will be transferred to the General fund for the current school year. It is the responsibility of parents to request a refund within the above stated time frame.